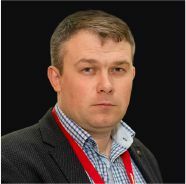 Practicing investor, infopreneur, member of the Eurasian Council for Small and Medium Business in Blockchain, cryptocurrency expert, author of «Crypto-currencies in 12 hours» course. 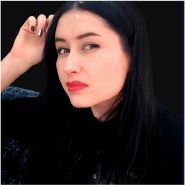 Marketing, sales and business development specialistwith experience of more than 10 years in IT, telecommunications, hospitality and entertainment, fitness, project management, etc. 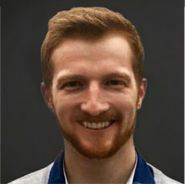 Leading analyst in TOP-30 worldwide according to TradingView version. 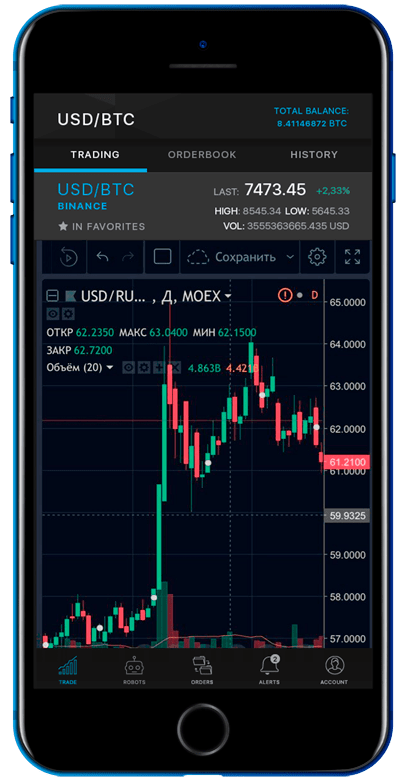 More than 6,000 hours of trading experience in cryptocurrency market. Statistical accuracy of analytics 70% of positive transactions. Business Administration MBA OU UK. Certified business-coach. 7 years of experience in managing Sales Department. 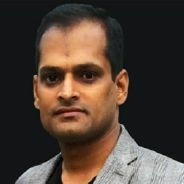 Backend developer with programming experience more than 15 years. Is engaged in software development in the banking and public sector of the economy, stock exchanges development. 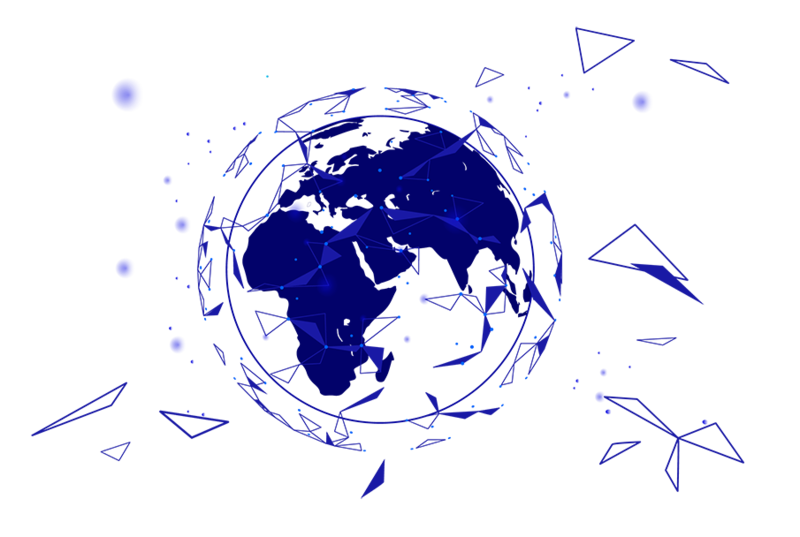 Experienced frontend developer in Web technologies and mobile applications, blockchain projects. Head of the www.subcodevs.com company, US and India. Online Marketing Expert with more than 7 years experience. Internet purchase funnels and platforms for info-business management. 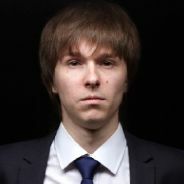 Crypto Investor, Info-businessman. 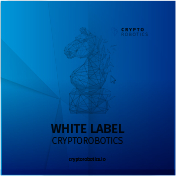 Cryptorobotics YouTube Team. Targeted marketing expert. 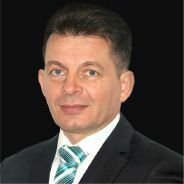 Online Marketing Expert, Info-businessman. Crypto Investor, Trading Expert. Cryptorobotics YouTube Team.  Internet purchase funnels management. YouTube promotion & SMM. 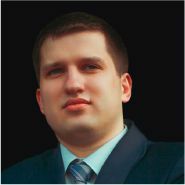 Crypto Investor, Info-businessman. Cryptorobotics YouTube Team. Economist, bank-audit, expert, Crypto-enthusiast 4+Yrs. Over the past three years, more than 2,500 people have participated in my training. They successfully mastered the knowledge of the crypto currency. 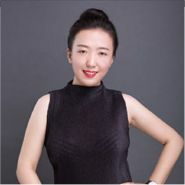 Successful business trainer, business consultant, blockchaintechnologies expert, professional crypto investor. 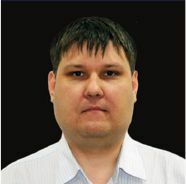 6 Years+ experience and knowledge in technical analysis in financial markets. 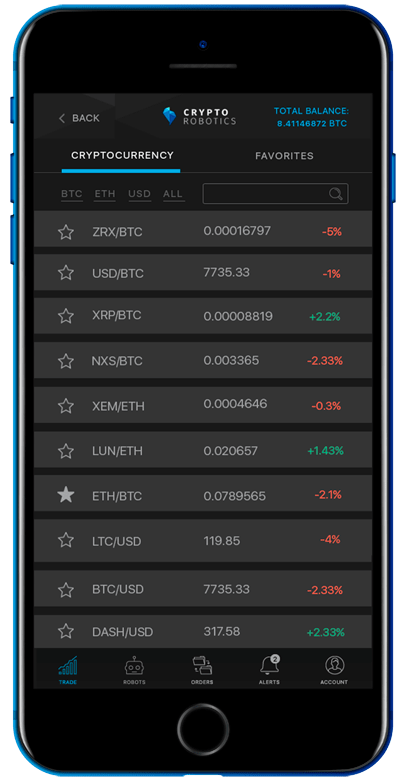 Successfully trading stocks, commodities, options, forex, and cryptocurrency. All time number 1 trader on a website named TradingView. Founder of Analytical company EXCAVO Family, EXCAVO academy. 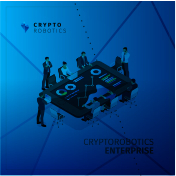 "CRYPTOROBOTICS" One-stop-shop trade terminal for cryptocurrency exchanges. ICO LIVE. 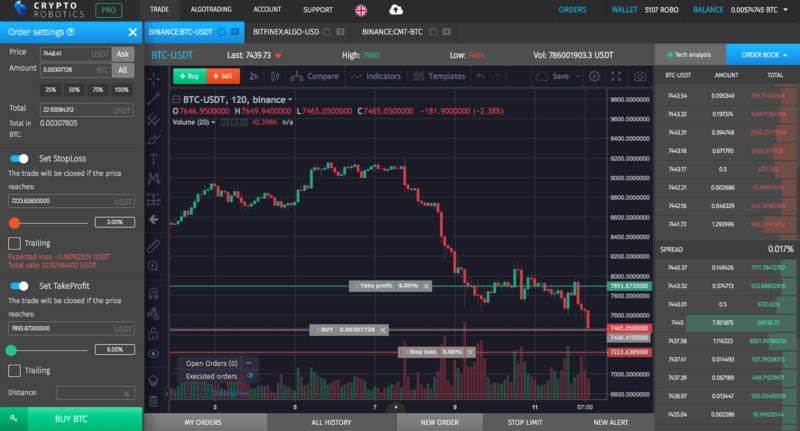 CryptoRobotics ICO (ROBO Token): Desktop Trading Terminal For Crypto Exchanges?  CRYPTOROBOTICS.IO - trading terminal of the future! Is the terminal free of charge? 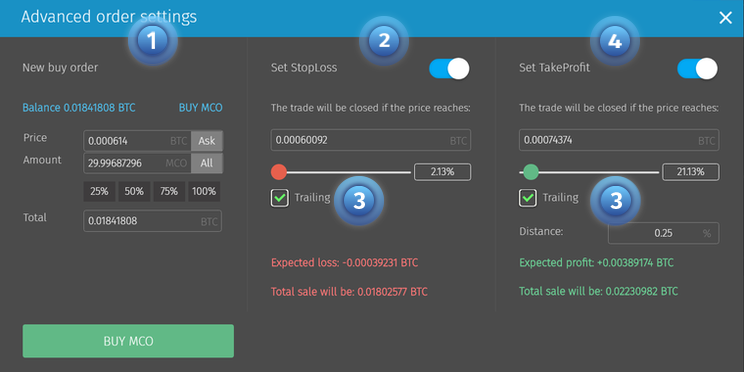 Basic terminal features, such as crypto exchanges trading, stop loss, trailing stop, take profit are toll-free. We do not take commission for transactions or subscription fee for using the terminal, and never will. 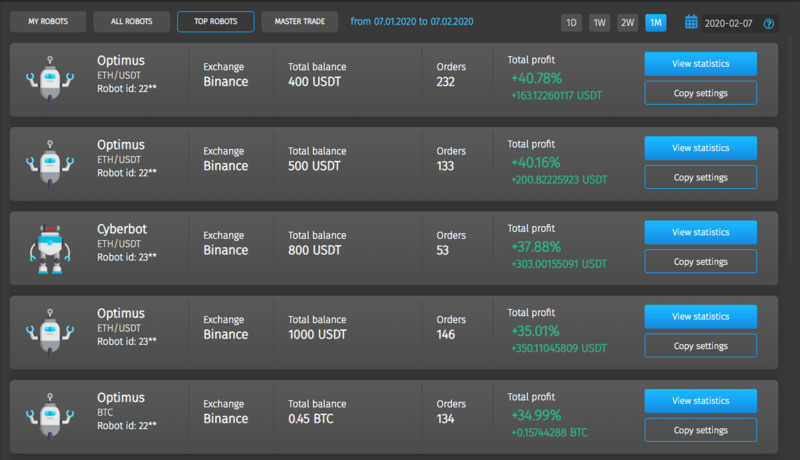 Is it possible that my funds stored in cryptowallets will be stolen via terminal? 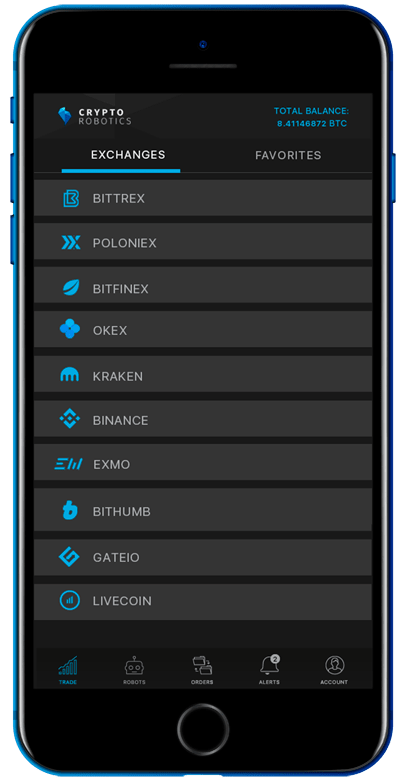 Cryptocurrency is stored on exchange wallets, not in the terminal. The terminal doesn't use withdraw tool. 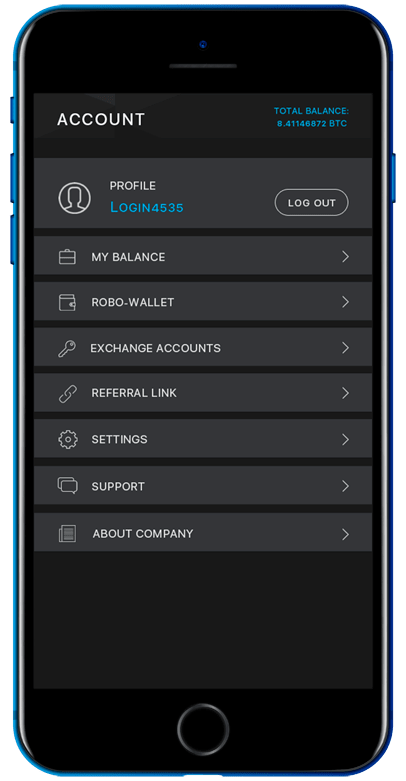 It's not possible to deposit and withdraw funds from user's balance. 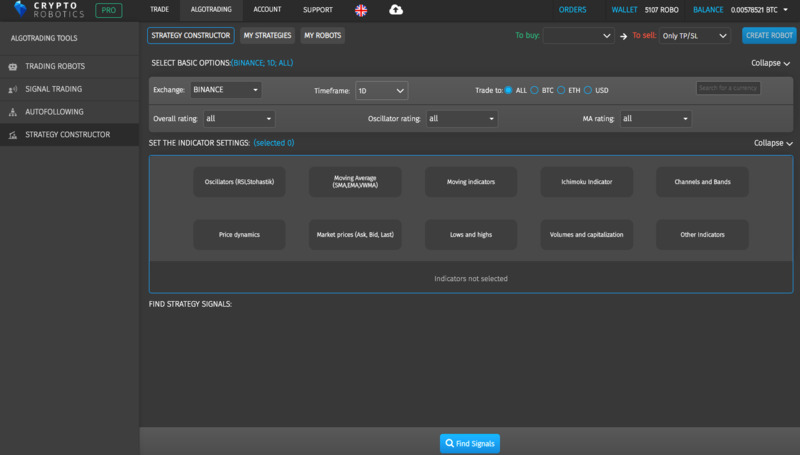 When an exchange account is connected to the terminal the user creates an API key and independently determines the list of permissions transferred to the terminal. Is it safe to provide my personal data to the terminal database? What are the system requirements for working on a computer (desktop version)? When are you planning listing on exchange? For what period of time is the robot purchased? Will I be able to test the robot before the purchase? 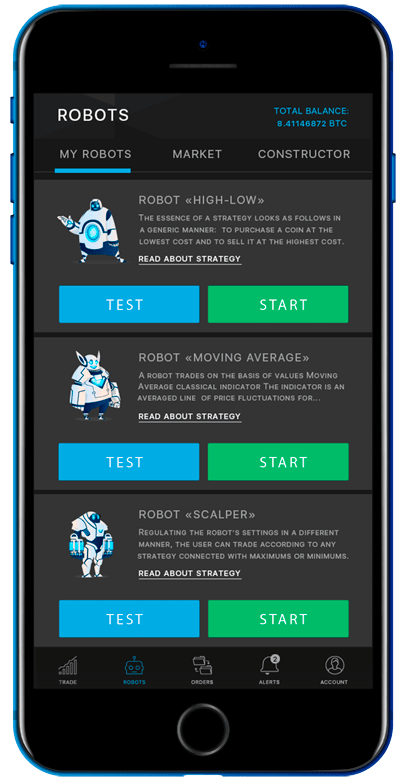 Yes, you can set and test the robot on real historical trading data of different crypto exchanges evaluating its strategy efficiency. What currency can I pay in the terminal? Only ROBO tokens are acceptable for all payments for terminal products. 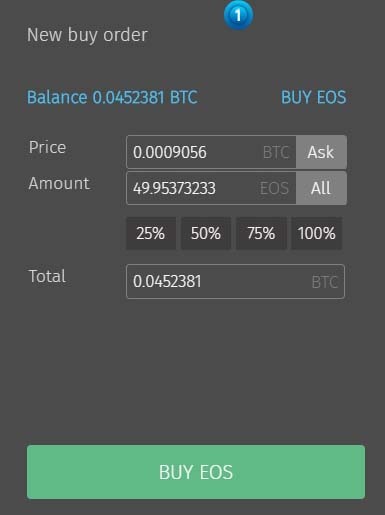 How can I use ROBO tokens after the purchase?  ROBO token is the only currency accepted for CryptoRobotics terminal products purchases. 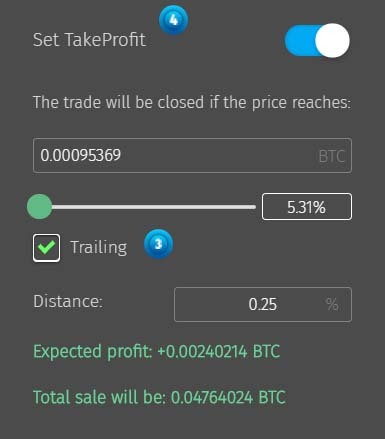 Purchases of terminal products can be made on private account of the investor / user and on the robots market. 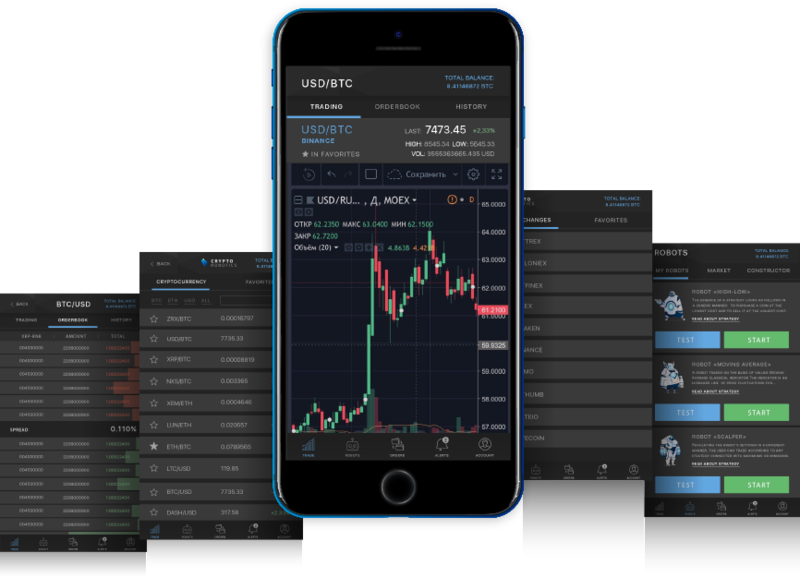 After ROBO tokens listing to the exchange all tokens distributed during Pre-ICO and ICO-tokens (except frozen ones) can be traded on exchanges where the token is traded. 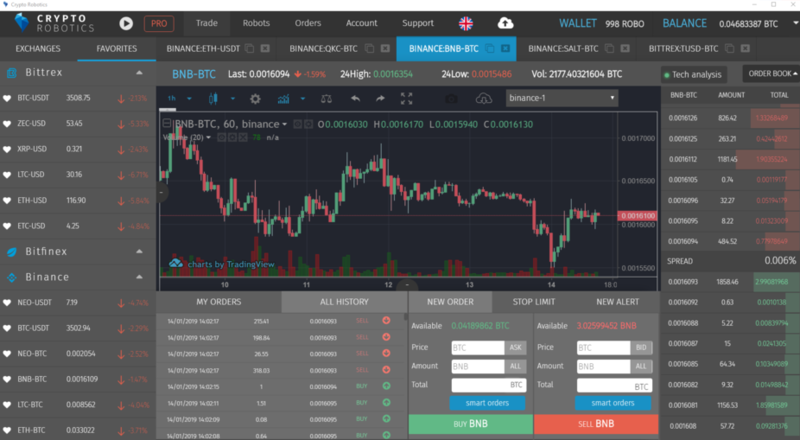 Is it possible to transfer the balance from one crypto exchange to another? No, it’s not possible. 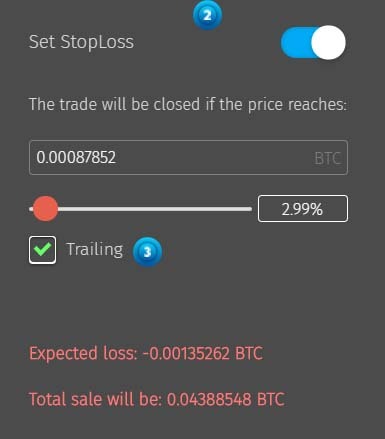 You can trade only with the balance within your exchange. 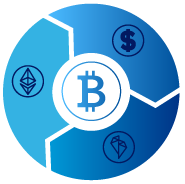 There is no deposit and withdrawal of money as well as no transfer from one exchange to another in the terminal. Is the terminal trading chart customized for my own tasks? 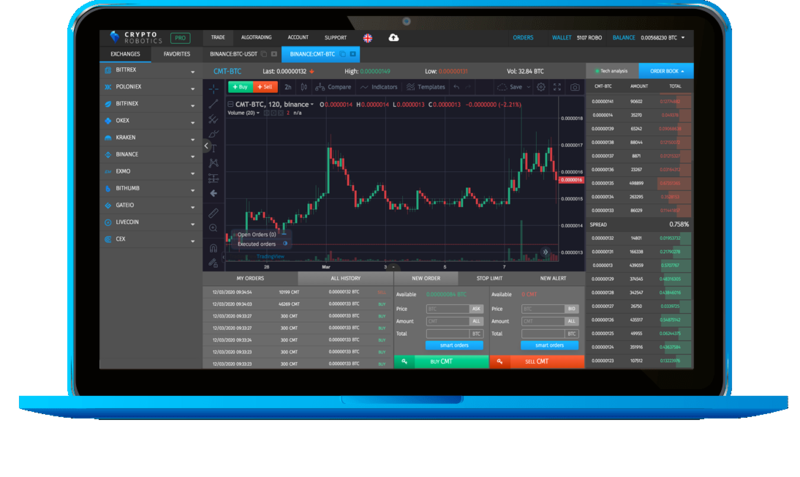 User can customize the terminal interface for convenient trading and can save several interface templates for different types of trading. 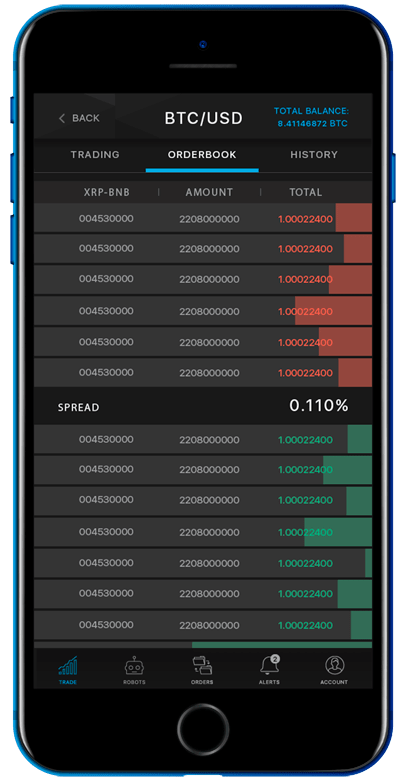 The user can choose the color scheme, change the size and location of screen blocks, save tabs with open cryptocurrency pairs, save technical analysis on the graph. Would you like to discuss the details on purchasing WHITE LABEL? Would you like to discuss the details on purchasing MASTER FRANCHISE? Would you like to discuss the details on purchasing ENTERPRISE? WE WILL NOTIFY YOU ON OUR UPDATES. YOU HAVE EXCEEDED THE MAXIMUM POSSIBLE AMOUNT OF SENDING FORMS. FOR SPAM PROTECTION REASONS, WE BLOCKED YOUR ACCOUNT FOR SOME TIME. GO BACK TO SITE IN 5 MINUTES AND TRY TO SEND THE FORM AGAIN. HIT US UP, WE ARE ONLINE!